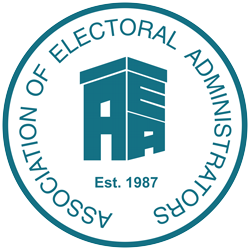 The Certificate syllabus consists of the existing modules on registration of electors and elections administration. These are an either/or option to reflect the fact that the vast majority of staff in Scotland work on either registration or elections but not both. The other Scottish module (SC3) is compulsory for all candidates and includes Scottish Parliamentary elections, Community Councils, National Park Board elections, Devolved and reserved powers, Scottish local government and a general section providing an overview of Scottish electoral administration. Candidates for the Certificate either have to be able to demonstrate a minimum of three years’ work experience in either electoral registration or elections administration or can make a case to be exempted from the above requirement. The syllabus has been revised to take account of legislative changes introduced up until the end of 2016 including the consequential secondary legislation and the introduction of individual electoral registration. This means that all assessments for the September 2018 programme will be based on the position which now applies.